I’m So Excited to Tell You About This! I spent 2015 rediscovering something I’d lost: The courage to do whatever the heck I want to creatively! It’s a big deal for me to feel fearless again! And my talented wife Julia was a big part of that! While I was writing and touring my one-man show The Robot Speaks, I was ALSO working on some songs with Julia that were very exciting! I’ve been wanting to make music like this for a long time!! The Robot Speaks was me exploring a raw, intimate and dark place, and this new project swings the pendulum the other way with maximum force! I’m literally thrilled to finally announce it. 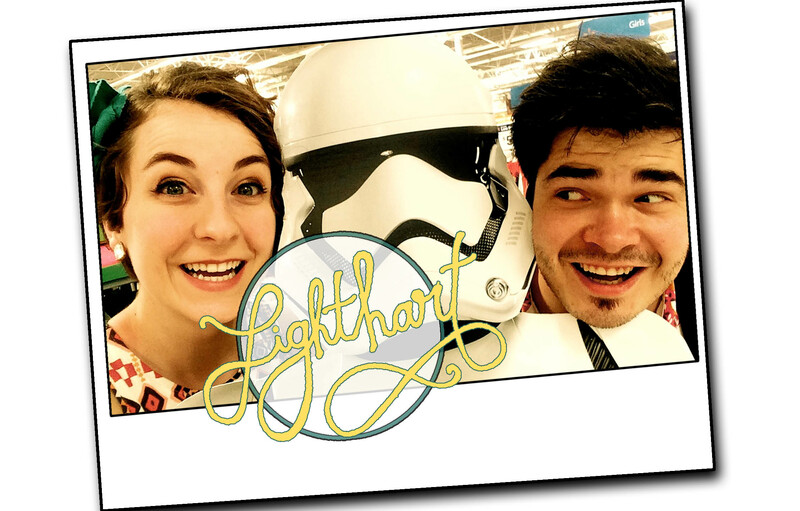 My wife and I have formed an indie-pop band called Lighthart and it’s everything it sounds like. The songs are hopeful, dynamic and bursting with energy! The whole thing feels very timeless, free and natural. We’re working with some fantastic songs and finally nearing the end of recording. I couldn’t be more excited about this new music! If you want to get all the updates regarding a release date, a debut single and live appearances, then sign up for the mailing list below! Psst! If you’re a fan of my quirky solo stuff, don’t worry!! My “Francy” brand isn’t going away and I’ve got long-term schemes for new & wacky projects to come down the road!